The most prestigious award in scifi! So, awards season is coming up, which means Hugo Awards nominations are now open. As is customary among authors who have published work in science fiction and fantasy in any given year, I’m going to write a handy-dandy little precis of what works I have out there that are eligible and in what categories. To nominate me (or anybody else), just go to the Hugo Awards website to learn all about it. Hey, maybe I’ll even see you in Helsinki, Finland for this year’s WorldCon. Of all those, the ones I am perhaps most proud of are “Lord of the Cul-de-sac” and “The Day It All Went Sideways” and I’d ask you give those particular attention. Like, if you were to read one thing, read the Galaxy’s Edge piece. Then again, “When It Comes Around” is free and “The Day It All Went Sideways” is free for Kindle Unlimited members, so there’s that. I obviously think the world of No Good Deed, but it’s the second book in an as-yet unfinished series (working on it, working on it), so I’m not going to ask people to nominate it, really. Second books don’t tend to win awards. Then again, it isn’t as though I’m likely to get nominated for much of anything, anyway (listens for crickets) see? Anywho, this is me, humbly planting my flag and saying “I’m here, too!” Thanks so much for your time and attention. Just out this weekend, my story “Lord of the Cul-de-Sac” can be found in this month’s Galaxy’s Edge. It’s a charming, light-hearted tale of a dragon moving to suburbia and the collapse of the housing markets in 2008. You can read it here. It’s free online, but you can also order it (and the rest of the issue) in dead-tree format by going here and following the links beneath the cover art. Galaxy’s Edge is a great venue and I’m very proud that my work has made it there, sharing a table of contents with the likes of George RR Martin, no less (!). Go read the whole issue – good stuff! In other publishing news, I’ve got at least three stories coming out in the next few months (well, at least one, but as many as three – the other two aren’t exactly upfront about their publishing schedules, shall we say), so stay tuned. 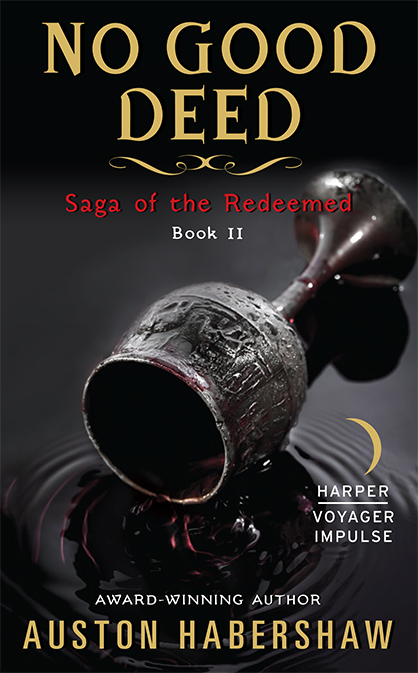 Also, a reminder that NO GOOD DEED, Book 2 in the Saga of the Redeemed, is coming out on June 21st! Pre-order your copy today (available everywhere fine e-books are sold)! My semester is wrapping up and I’m starting to gear myself towards what my summer writing project will be. It’s a bit up in the air (currently talking with an agent about best career moves – exciting stuff, but I can’t really say more yet), but there are good odds I’ll be looking to dig into Book 3 of the Saga of the Redeemed and possibly plan on having a solid draft finished by the end of August. Either that, or giving the Saga a rest for a bit and working on a new stand-alone or maybe series. Hard to say at this point, as I’m at something of a crossroads in my career. My contract with Harper Voyager is complete with the delivery of NO GOOD DEED, but I don’t feel the series is finished – it’ll take two more books, I think. However, the series, while selling modestly well, isn’t selling anywhere near enough and isn’t getting enough attention to necessarily warrant 2 more years of my time to completing, as much as I love it. If there are better options, I might be better off taking them and circling back to this series later on. But I’m getting ahead of myself. For now, go and check out the May 2016 issue of Galaxy’s Edge! So, time for a writing update! Thing have been going very well, lately. Lots to update everybody with, so I’ll start with the short fiction news and move into the novels. I’ll be out there on the edge someday soon! My short story “Lord of the Cul-de-sac” was just purchased by Mike Resnick over at Galaxy’s Edge. This is a great market with a typically stunning table of contents and edited by the man who has won the most Hugo awards in history, so that’s pretty damned sweet. No word yet on when my story will appear, but I’ll keep you all posted. Magazine of Fantasy and Science Fiction Sale! I mentioned this a few weeks back, but I’m still pumped that I sold a story to CC Finlay over at F&SF. My story “The Mithridatist” (set in Tyvian’s world, Saga of the Redeemed fans!) went on a heck of a journey through the pro-markets, garnering personal and, dare I say, glowing rejection letters from places like Tor.com before finally earning itself a home. Again, no word on release yet, but I’ll keep you posted. I also recently sold a story to Escape Pod podcast about a month ago. It’s free and in audio or text. “Adaptation and Predation” is a space opera-esque story set in my Union of Stars world and has received a very positive response. I’ve even gotten some fan mail! Yay! Then there’s this as-yet-untitled Time-Travel anthology over on Chappy Fiction, which bought/will buy my story “The Day It All Went Sideways” dealing with two-bit gangsters and fifth-dimensional time. I’m being called an “anchor” for the antho, which is a great compliment and I’m excited to see what Zach Chapman puts together! Beyond that, I’ve got another five stories or so on submission to various places on and in various stages of review and another two I need to spiff up and send out again. Pretty good haul for a guy who spends *most* of his time writing novels! The first book in the Saga of the Redeemed, The Oldest Trick, and its two halves (The Iron Ring and Iron and Blood) are currently selling very well – particularly the two halves – thanks to a price promotion and a BookBub at the end of last year. 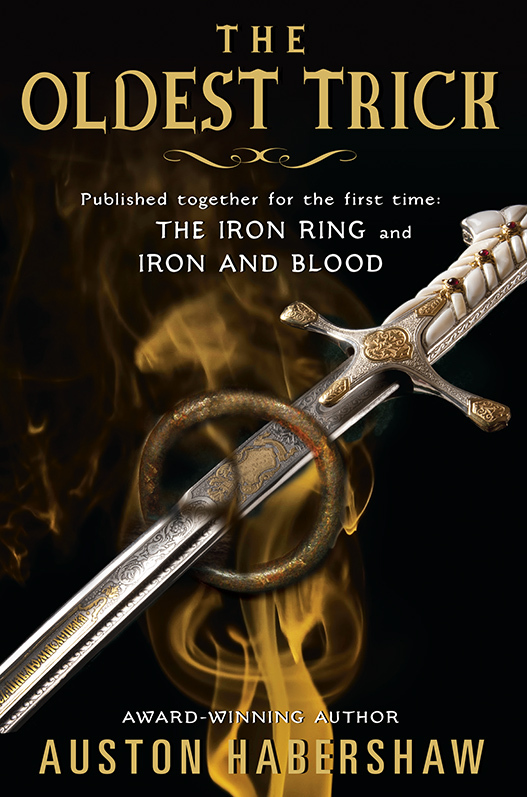 The Iron Ring peaked at #115 overall for Amazon (#2 for Fantasy) on the day of the BookBub “Book of the Day” promotion, which is mind-bogglingly awesome. It and Iron and Blood have been selling in the low 5-figures in rank ever since, which, in Amazon terms, is really goddamned good. So thank you, all of you, who have read! That said, I could still use more reviews! I have ranked up a few over the past month or two (all very positive – thanks! ), but you can never have too many reviews and, given how Amazon’s algorithm works and how important word-of-mouth is for book sales, more reviews is essential! If you’ve read any of my books, I would be ever so thankful if you left a review (even if you didn’t like it very much!). Now for the kinda-sorta bad news. My editor at Harper Voyager has left for another publisher and, as a result, I have a new editor (hi, Rebecca!). Since she has just been saddled with a lot of my former editor’s old workload, she’s had to delay the publication of No Good Deed again. Bummer. It’s new release date is June 21st, 2016. This is disappointing, but at least now it seems like that date will be firm. I’ve also seen the cover art, which is really pretty awesome. Not time to reveal it just yet, but very pretty, trust me. So, yet, Tyvian will be yet a few more months before he arrives in his second adventure. Of course, that’s typical Tyvian – never arrive on time when you can arrive late and make a splash. This also gives people world-wide more time to read the first book and be ready when the second comes out, so silver linings abound. Cursed with a magic ring that forbids skullduggery, Tyvian Reldamar’s life of crime is sadly behind him. Now reduced to fencing moldy relics and wheedling favors from petty nobility, he’s pretty sure his life can’t get any worse. That is until he hears that his old nemesis, Myreon Alafarr, has been framed for a crime she didn’t commit and turned to stone in a penitentiary garden. Somebody is trying to get his attention, and that somebody plays a very high-stakes game that will draw Tyvian and his friends back to the city of his birth and right under the noses of the Defenders he’s been dodging for so long. And that isn’t even the worst part. The worst part is that somebody is his mother.